The Swedish contingency of an international UN-led peacekeeping operation in Mali is up in arms over the apparent paltry size of food rations, which, they say, is forcing soldiers to go to bed hungry. Swedish soldiers told the Dagens Nyheter daily that the UN-supplied food rations of 1,800 kilocalories per person daily is not enough. “It's insane that in 2015 we should not be getting enough food. It affects the mood. 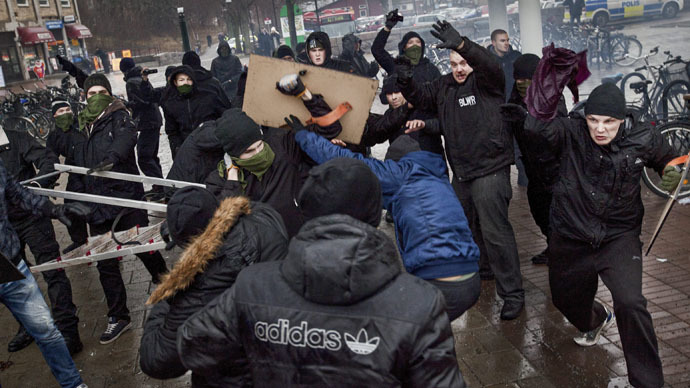 People get cranky and angry when they can't eat until they get full,” one soldier told Dagens Nyheter, The Local reported. The Swedish soldiers, who arrived in January 2015 and are based close to Timbuktu, believe the rations were intended for the dietary standards for some of the other 39 participating countries, but not for them. “1,800 calories is perhaps enough for the UN soldiers from Burkina Faso and Bangladesh who are often smaller built, but not for us,” said another Swedish soldier. 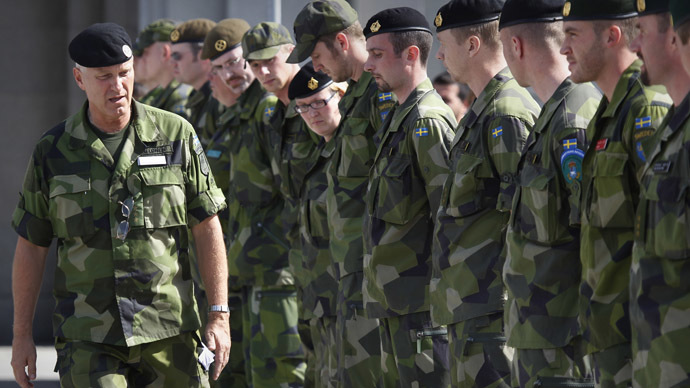 With claims that Swedish soldiers are “going to bed hungry,” the head of the Swedish forces of the United Nations-led operation, Lieutenant Colonel Carl-Magnus Svensson, summarized the situation as a “luxury problem." Svensson believes it would not be right for the Swedish forces to demand more food than other UN units in Timbuktu. “If you work out like an elite athlete and carry out the tasks here and expect to eat the way you do at home, you will be hungry. A unit's capability will go down during the operation,” he told Dagens Nyheter. However, the lack of food is reportedly affecting the soldiers' physique and health – essential for carrying combat equipment that weighs 25-30 kg. Meanwhile, desert conditions in the landlocked West African country are harsh, with daytime temperatures reaching as high as degrees 40 Celsius, and dropping down to 6-7 Celsius at night. When the Swedish soldiers first arrived to their base near Timbuktu, provisions were supplied by their Armed Forces, which contained dried food and chocolate, biscuits, nuts and more. The caloric content of the rations was around 3,500 kilocalories per person per day, which is also the soldiers' daily basic requirements, Dagens Nyheter reported. Food shortages began in early March when the UN began to supply raw materials, which was only enough for “1,800 kg calories per person per day,” it said. A breakfast may consist of two slices of cheese and two slices of sausage – if available – plus butter and two slices of bread and a glass of milk, according to the Swedish daily newspaper. Vegetables and fruits are supposed to be included in the UN supplies but are said to be so unfit for consumption that they are usually discarded. The UN peacekeeping mission in Mali (MINUSMA) was established in April 2013 by UN Security Council Resolution 2100 to stabilize the country after the 2012 Tuareg rebellion. In July 2013, 6,000 out of a future total of 12,600 UN peacekeeping troops took over responsibility for patrolling the country's north from France. The international peacekeeping force is the third largest of its type in the world.